For most buyers, the mortgage is the largest monthly expense they will ever have. Yet many borrowers don’t know how to prepare, negotiate or shop for mortgage loans. Compare lenders. A loan officer works for a bank or savings and loan and offers you proprietary loan packages. A mortgage broker shops your deal around to various lenders and gets quotes for you. You’ll have to share personal financial information to get a realistic rate, and then pick the lender’s offer you like best. Pay attention to terms. All fees are negotiable. It’s all in your loan estimate and closing disclosure form when you’ve applied for the loan, so ask for a blank one up front so you can compare fees. Ask the reason for each fee if it’s not apparent. Choose the right type of loan. Current market conditions favor fixed rates, because rates are rising from all-time lows. Yes, they cost more than hybrid loans or adjustable rate loans, but the base amount is fixed and doesn’t change. Only your taxes and hazard insurance will cost you more over the years. If you get an adjustable rate mortgage, you are at the mercy of market conditions. While there’s a cap on how high your interest rate can go, it’s only a good risk if you plan to occupy your home less than five years. 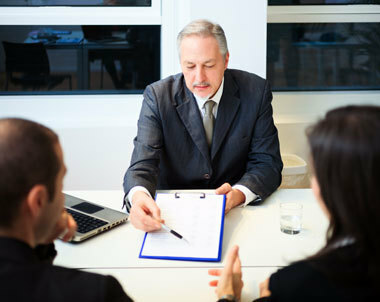 Ask your lender to explain the risks and benefits of the types of loans available. As the spring housing market heats up, you may have to act fast to get the home you want. But that doesn’t mean you should skip crucial home buying steps. Have a plan and stick to it to find the home you want. Be prepared. Choose a lender, share your financial information, and decide the down payment amount. The lender will come back with the highest amount you can borrow and your interest rate. Don’t fool yourself with a risky loan; get the safest loan for the longest term you can afford. Shop within your means. By fixing the financial variables, you also fix your price range. While you may be tempted to look at fancier homes to see what they have, but that will only make you less happy with the homes in your range. Don’t skip inspections. Sellers expect you to examine the home. You not only need to know what the home costs, but what it’s likely to cost soon for repairs, replacements and remodeling. Think long term. To recover closing and moving costs, you will likely need to occupy the home you buy for five years or longer. Choose the home that is most likely to meet your household’s needs for the longest foreseeable future. Add value. By adding on or making other improvements, you’re bringing the home up to the area’s best standards, which will help it hold and increase its value and appeal strongly to the next buyer. Life is messy, and cleaning your home in time for an unexpected showing is never convenient. But you can do a speedy pick-up and spot clean so your home sparkles for homebuyers. Here’s how. Get everyone on board. Selling your home is a team effort. Start good habits now so there’s less for everyone to do later. Remind kids to put their toys away and hang up their clothes before bedtime and to make their beds every morning. For weekends, assign each household member a room to pick up in addition to their bedrooms. Keep baskets handy. Make a five-minute clean up drill fun. Give each household member a basket. Show them what belongs and what should be put in the basket for each room. Blow a whistle to begin and then a quick pick-up drill becomes a fun race. Clean litter boxes daily. Pets contribute a lot of odors to homes, so make sure cat litter boxes are sifted daily and wash dog beds weekly. Don’t forget the back-yard dog run! Shortcuts for speed. It’s crucial that kitchens and baths are spotless for showings. 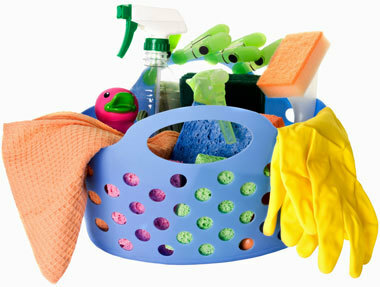 Keep a plastic housekeeper’s caddy loaded with toilet bowl cleaner, bleach wipes, paper towels and glass cleaner. Be ready to go for a five-minute once-over on counters, mirrors, etc. Reward good jobs Look over each room before heading out the door with the kids and the family dog. The one who did the best job gets to pick a treat – ice cream, a movie or the park.